Dakota, beginning in 1905. After clearing rocks and boulders, growing wheat and flax, raising cattle and chickens, and selling cream from their sod houses, most were successful enough to own their own land. 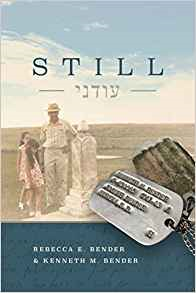 Still is a history of five generations, a family we meet first as they flee Odessa and last as they make their ways as American Jews...and as Dakota farmers, as students and storekeepers, as soldiers and lawyers, and even as a teen in an international competition who stands face-to-face with Netanyahu. Rebecca Bender and Kenneth Bender answer the question recently posed to Rebecca by a newspaper reporter: Are you still Jewish?